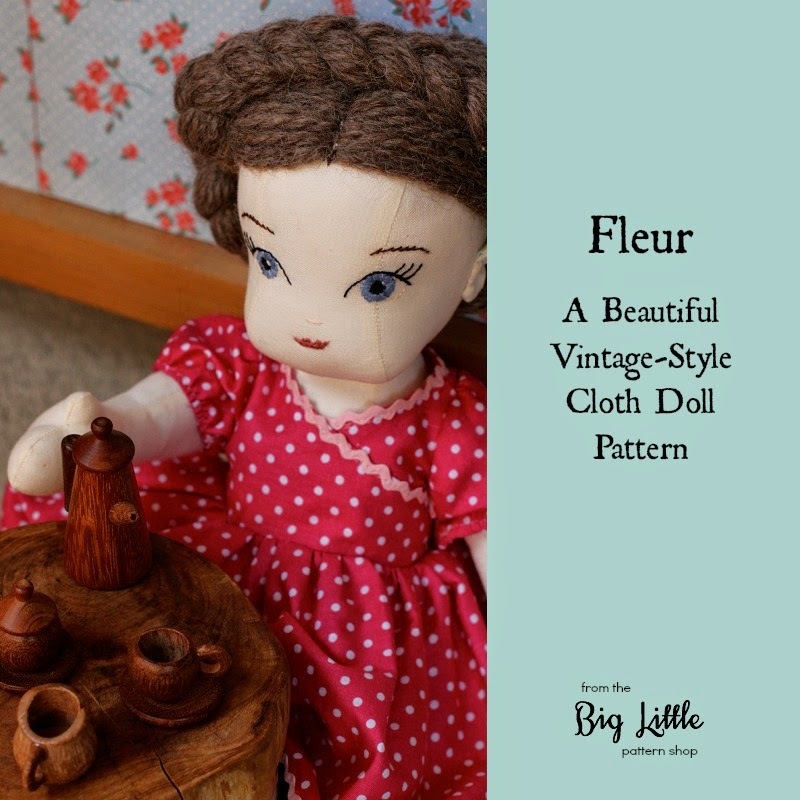 In case you are just joining in on my doll-making journey, my goal is to create a classic 1930-40's style cloth doll, giving her a slightly more modern look while keeping those lovely vintage elements and clothing. 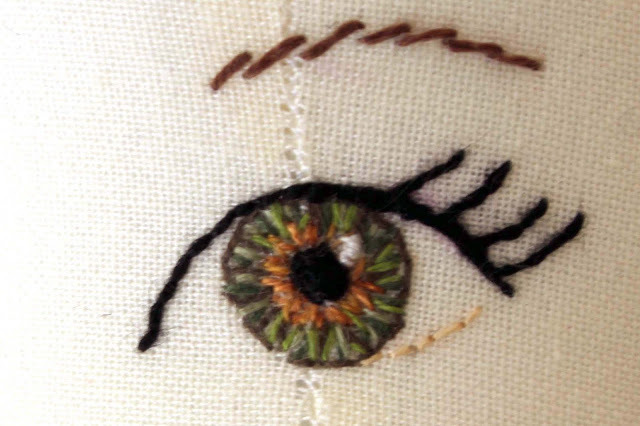 So far I am up to embroidering the eyes. After deciding on the style of the eye I wanted for my doll here, I then needed the colour. 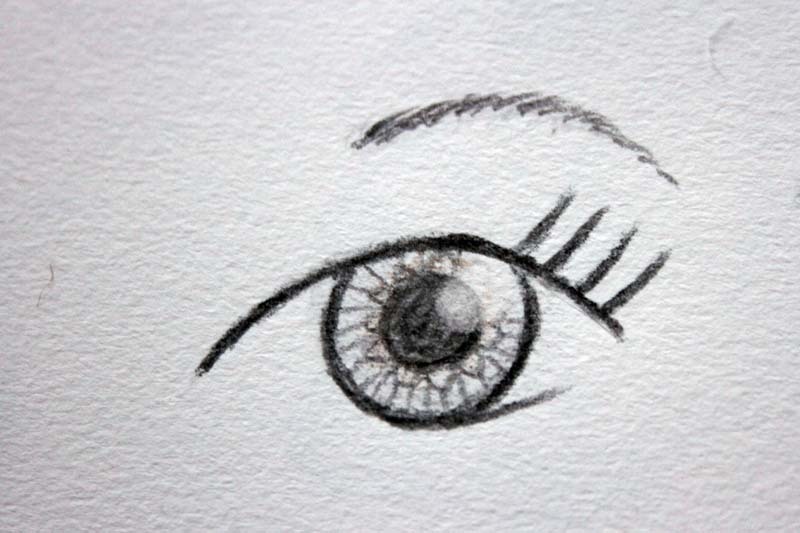 Aiming for as realistic as possible, I decided to photograph my daughters eye and use that as a guide. Alas she was asleep (for an unusually long period) so my eye had to suffice. 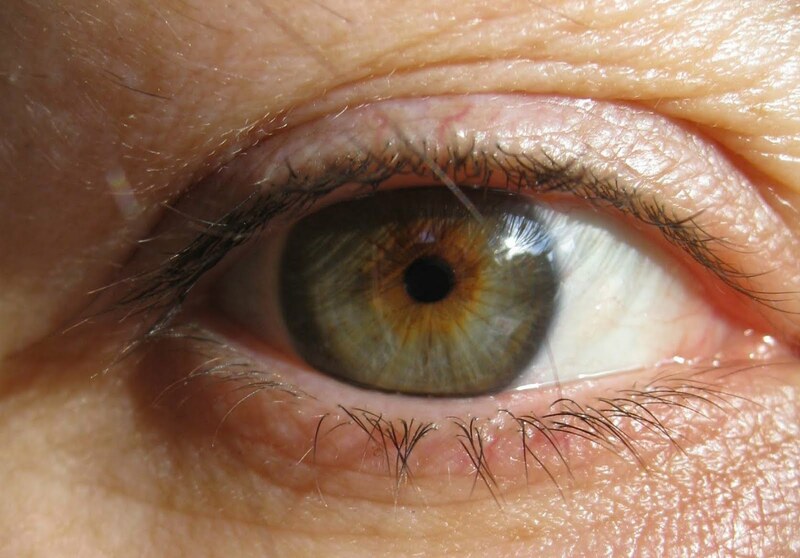 Bit humbling seeing your own eye up close - I didn't realise I had that many wrinkles! 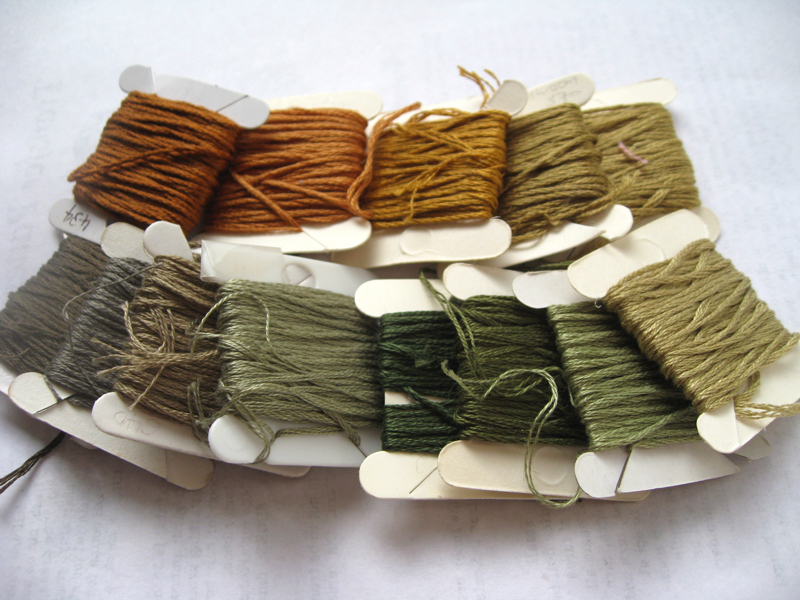 After studying the colours in the photo, I chose thirteen shades to make up the green, grey, brown and golden hues. Working with a single strand of thread, I started with the darker ring around the outside then adding lighter more golden colours towards the center. 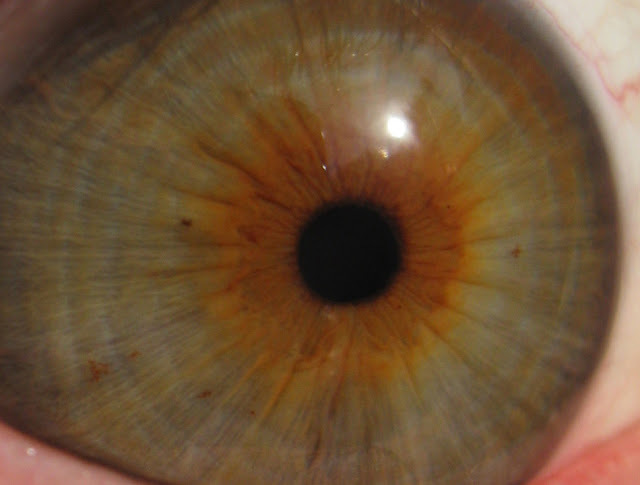 Proportions of the pupil were made a bit larger than mine, as I figured I was looking into the light when I took the picture. Lastly the light/highlight in the eye was added for the finishing touch. I am sure more experimentation and practice will see some improvements - like how the iris started off perfectly round but was a bit wonky by the end... but for my first attempt I am really happy:) Yay! 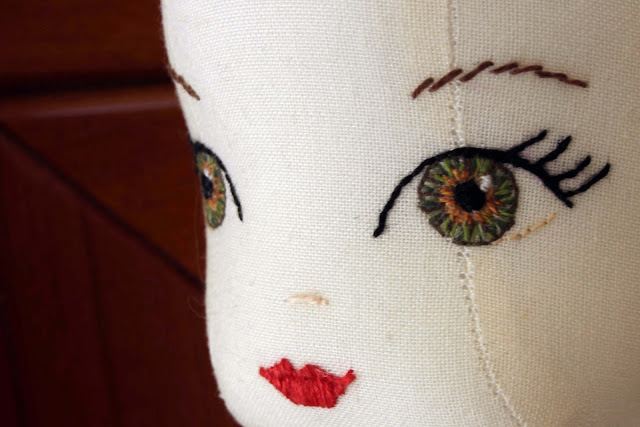 What a gorgeous face for your doll, well done. Wow those are amazing eyes! Well done you! 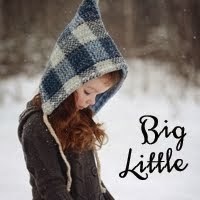 I followed a Pin on Pinterest to your blog. I am quite impressed with your sweet dolly! Will you be offering a tutorial, or perhaps, make a pattern available? Keep up the good work! I look forward to seeing your progess! =O_O= incroyable ! magnifique ! bravo ! Just found you on Pinterest and those eyes (and lips, and face!) are just beautiful!! I've never seen any like them. What an amazing job! Hermoso,mucha expresión en la mirada,nunca vi un ojo haci,felicitaciones,intentaré bordar ,unos ojos haci. I rarely ever see anyone with that color combo. I have eyes like yours. I have seen 6 people now with that eye color. Me, my son, a coworker, a customer and now two people on the internet (unless that was you before as well, haha). I've seen a LOT of eyes in my days and I'm telling you, this color combo is very rare. I'm loving the doll eyes. Very sweet. I paint or draw mine, but I'm thinking of trying embroidery at least once now. This is very kewl. I always struggle with eyes for felt projects and try and cheat by just having dots with lashes or eyes closed. You have done a fabulous job with these eyes and I will definitely try your technique. Thanks for sharing. ¡Felicidades por tan bonito blog!, ya te sigo... ¡aaadiúuu! Id like to see more about your posts but I'm not invited to the blogger? What a beautiful work of art! Anymore perfect and I do believe it would be celestial. Keep showing your artistry, you inspire me. Very much a fan ~ thank you!